Problem - Fixed panels of glass that faced the street in 2 children's bedrooms. The client wanted some colour and pattern for their girls rooms. The window coverings but didn’t need to open as they would be for privacy. 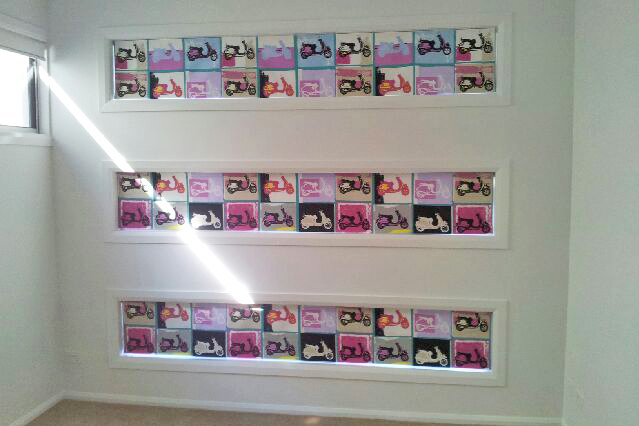 Solution – Custom panels velcroed to runner track, fixed to the window frame. The panels have a blockout lining so will provide room darkening and privacy. Custom Panels are a great way to introduce interest to a room with hard to cover fixed glass panels.